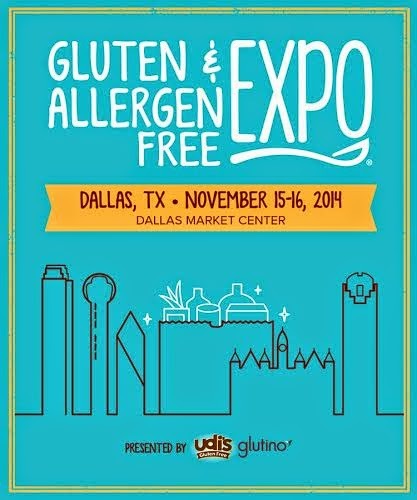 This weekend, our family is headed to the Gluten and Allergen Free Expo at the Dallas Market Center (November 15-16, 2014). Food allergies (peaches, peanuts, chocolate, etc.) is something that we definitely have to consider when traveling away from our home town. We can usually never rely on waitstaff to deliver the correct information about the nutrition-focused content in their dishes (this is disappointing when your toddler develops an immediate rash after consuming a dish at a restaurant). The Hashtag! - Engage before the expo by searching for the #GFAFExpo hashtag on Twitter! We planned to attend this expo since I discovered the hashtag around this time last year. This year, I will receive a pass to attend the show in exchange for highlighting the expo on the Weekends Count blog.